Air pressure is critical – under-inflated tires can be just as dangerous as over-inflated tires. Check out the recommended pressure range from the manufacturer and adhere to this when filling your tires. Ideally, check the air pressure of your tires when they are cold, usually at least 3 hours from the last ride. Tires get worn from regular use, and will not be able to maintain the traction you know and love while riding. Look for wear bars starting to show in your tires as an indicator that its time for a change. Keep an eye out for anomalies such as uneven wear patterns, cracks in the sidewalls, cuts, bulges, and embedded object. All of these this can compromise the performance of your tires. 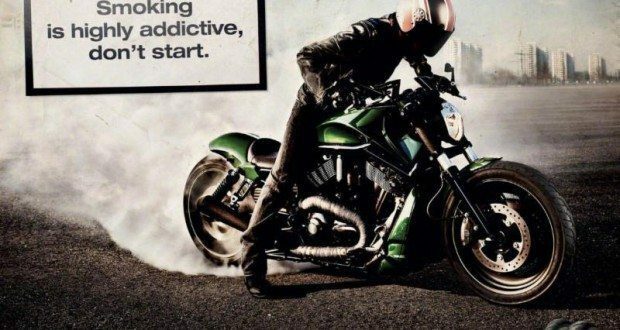 If you have a puncture, repairing a motorcycle tire is not recommended. It should be replaced entirely. Unlike with cars, on a bike you only have two wheels – if your repair fails there aren’t 3 other wheels to compensate. We all know the appeal of an eye-catching set of rims, but when cleaning your tires you want to avoid using harsh chemical detergents. Instead opt for a mild detergent and rinse well with water. Depending on the type of bike and style of riding the tires can make all the difference. Consult your owner’s manual for specific on the size, construction (eg. 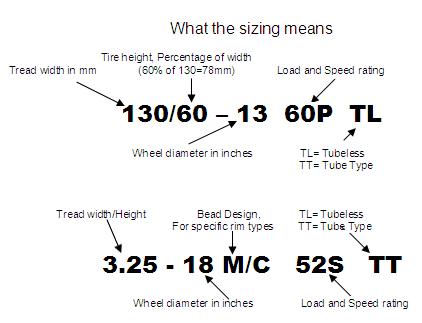 radial or bias, tube, tubeless), load range, and speed index for the type of tires that will help you get the most of your ride. Tires go through a heat cycle as they go from ambient to operating temperature and back down again. Each heat cycle your tires go through slowly hardens the rubber. Similarly, as tires age, chemical reactions cause the rubber to harden – even during non-use. Tires can also absorb petroleum-based fluids from the road, which can further deteriorate the rubber. Whether through heat cycles or aging, the nature of the tire’s surface changes which can translate into a change in traction, ride comfort, and safety. Your tires may need to be replaced, even if they have plenty of tread left. Big thank you again to Studio Cycle for allowing this part of their email to be shared here. 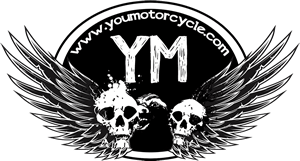 If you’re looking for a motorcycle dealership in the Greater Toronto Area, check them out in the Junction / High Park area.